If you’ve goods to sell, or use, then at some point you need a place to store them, either to move them into the marketplace later, or because your business is in transition. The simple act of moving goods can be time consuming, and unless that’s your core business, it can take valuable resources away from otherwise focusing on your bread and butter. The fix? A reliable and cost effective service that will put in the time and effort for you. It’s worth it. The time spent doing it yourself is time you can’t get back. Consider investing your money in a storage service that allows you to continue plying your trade. There are two things that happen when you move: 1. You realize how much stuff you have 2. You realize how much stuff you’ve lost. Sometimes items are forgotten, misplaced or damaged. It could be several small things or just one very important piece. This is particularly concerning when it comes to expensive equipment or confidential information. A service that can supply strong, well-insulated storage, as well as archiving services, is the ideal solution. A service that specializes in logistics and record management will not only move fragile or valuable items carefully, but also can streamline and protect your physical and digital data. 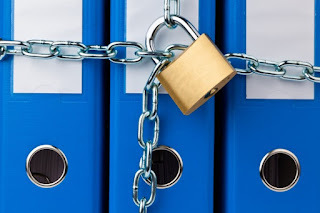 If there’s one thing that can raise your blood pressure when it comes to your business, it’s security, or lack thereof. The advantage of a good third party storage provider is reliable security that is included in the overall fee. If your provider offers 24/7 protection at no additional cost, you’re in good stead. Even if you’ve found a storage solution, it may not be of any real use if your situation is dynamic, and changeable. So make sure your provider offers contracts for a range of periods from months to even years. If your spatial needs change over time, ensure they have the square footage to accommodate you, and that they offer customizable packages. This will save you the hassle (and cost) of hiring additional providers. Before you start scouring the Internet for this magical storage solutions provider, save yourself some surf time and take our recommendation: The Box. They pretty much tick, well, all the boxes (no pun intended). They have a range of packages and storage periods, and offer up to 3000sq ft of space, among other things. Yes, they will move your stuff and they have a sister company (The Black Box) that provides record management too. Check out their Facebook page here and see what you think.